Odd Future’s Syd the Kyd and Matt Martian have been sideline busy these last few years, working on songs for their soul funk duo Internet, and will soon be releasing their sophomoric album with a more elaborate band than they’ve previously worked with. In the meantime, they’ve released a taste of what’s to come with the new record. 2011’s Purple Naked Ladies featured the duo mostly on their own, but the pending LP, Feel Good, contains production from The Neptunes’ Chad Hugo, Thundercat and Incubus guitarist Mike Eizinger. 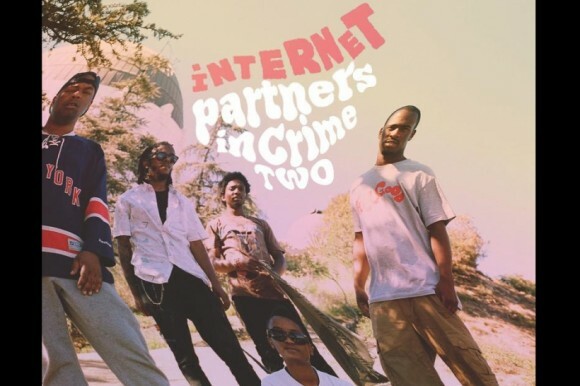 The first of the music leaked from Feel Good, “Partners In Crime Part Two”, also spotlights vocal contributions from Malaysian singer Yuna, Pittsburgh rapper Mac Miller and R&B singer-songwriter Jesse Boykins the III, not to mention psychedelic riffing from The Stepkids guitarist Jeff Gitelman.